The USPTO today published a patent application made by Apple that reveals a way to improve the experience of wearing stereo headphones. 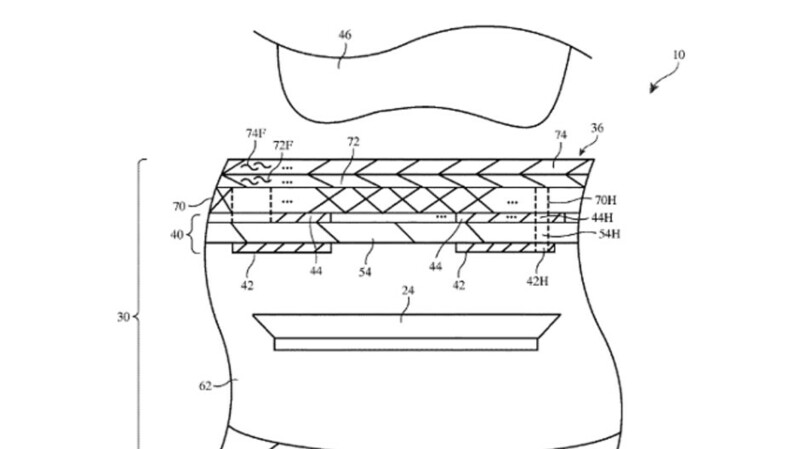 The patent application carries the title "Electronic Devices With Configurable Capacitive Proximity Sensors," and it was submitted by Apple last November. The technology includes sensors that would recognize the "ear patterns" belonging to the headphone wearer, and could determine if the left and speakers are being worn correctly over the appropriate ear, or the speakers are reversed. According to the patent application, if it turns out that the user has the right speaker covering his left ear, and the left speaker covering his right ear, the sound coming out of each speaker would be reversed to line up with how the headphones are being worn. Otherwise, the user could end up in the position of watching a movie with action taking place on the left side of the screen resulting in sound being heard in the right ear. During the summer, there was talk about Apple releasing a premium pair of headphones that would carry the Apple brand. The new headset would not be considered part of the Beats lineup, and would use Apple's own chips. The speculation called for this product to be released sometime next year, although the rumor mill has been quiet recently regarding any Apple branded headphones. When simple painted L & R letters are no longer good enough lol. Not to mention any good manufacturer uses "plastic dots" to help identify left/right if you don't want to look at it (or can't look at it - blind).